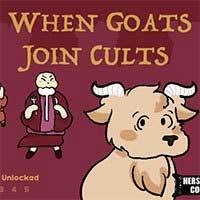 When Goats Join Cults Play as a little goat that must pass the initiation test to join the goat-eating cult to save himself. Will you become one of them or be slaughtered? 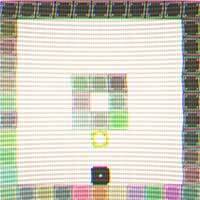 There are five ending to this game, will you be able to discover all 5? CREDITS: Writing, Game Design, Programming: Hershall Cook Art: Grace Howson Music: Aidan Strickland Sound: Aidan Strickland, Neil Floyd, Hershall Cook Additional art: Hershall Cook Thanks to all the testers! Enjoy it on Creetor.